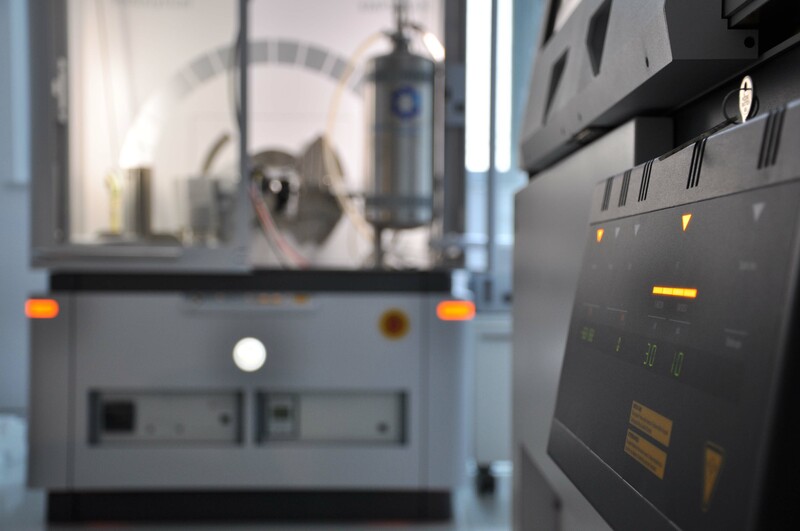 X-Ray Laboratory of the NanoBioMedical Centre has two modern and stand-alone X-ray diffractometers, EMPYREAN and X'Pert PRO MRD (PANalytical). The availability of state-of-the-art research equipment and qualified staff ensure the highest level of scientific research. Professional research equipment allows for carrying out the didactic activities and ensures its high level. This powder diffractometer is working in Bragg-Brentano geometry and has standard equipment of Cu tube working at linear/dot source, reflection-transmission spinner (plus automatic sample changer), and a fast PIXcel 3D linear detector, working in four modes. Additionally, EMPYREAN has accessories: Co and Ag tubes, solid sample stage, temperature stage TTK 450, computed tomography stage, capillary spinner, scintillation detector and two self-contained cooling systems: i) OxfordCryosystems (Cryostream 700 Series, Plus), ii) Anton Paar (TCU 110), working in the range from -193 °C to + 227 °C and from -193 °C to + 450 °C, respectively. 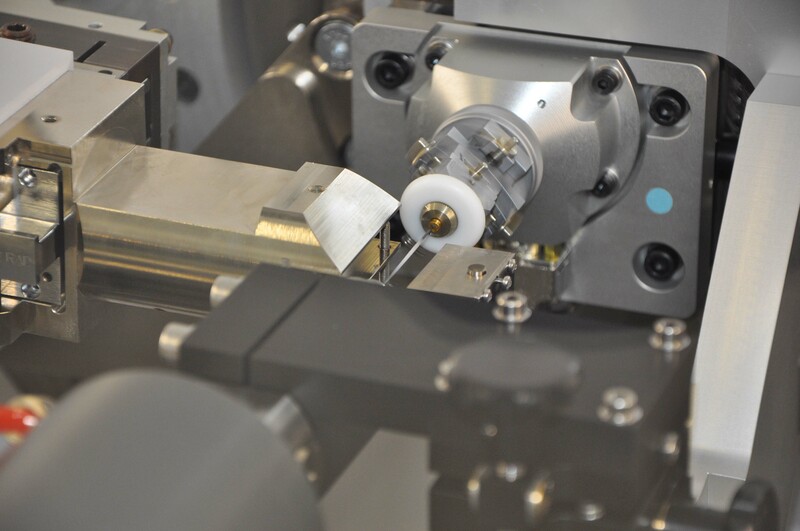 X'Pert PRO MRD with goniometer of five degrees of freedom: X-Y-Z-Phi-Chi is dedicated mainly for thin layer analysis. Standard equipment includes Cu tube, working at linear/dot source, magnetic stage, two proportional detectors Xe, crossed slits (controlling the beam height and width between 0 mm and 10 mm). Additionally X'Pert PRO MRD has following accessories: parabolic mirror MRD, programmable beam attenuator Ni 0.125 mm, 4-crystal symmetrical monochromator Cu Ge(200), parallel plate collimator, programmable receiving slit with FASS, triple axis (Monochromator 3xGe200 Cu Sym. double, Rocking curve optics double).